Perfect. Basic. Homemade. 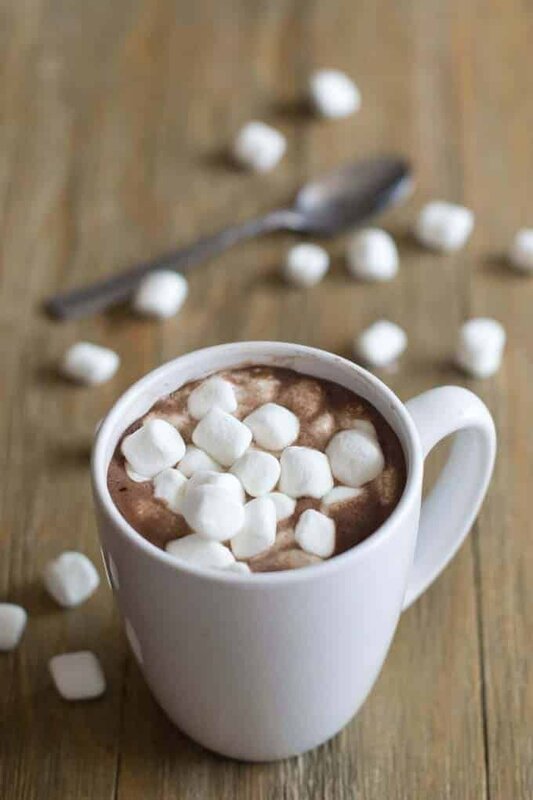 Hot cocoa doesn’t get any better than this. Grab your favorite mug from the cupboard. The bigger the better. 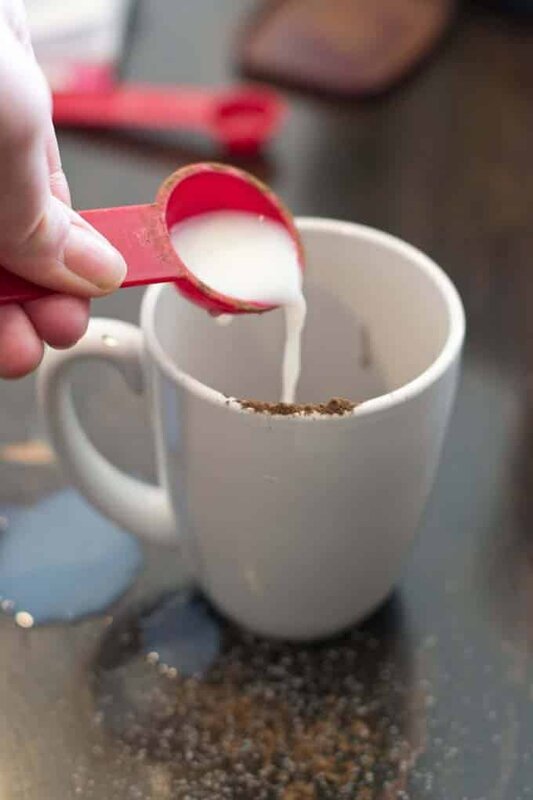 Add some sugar for to the bottom of the mug. 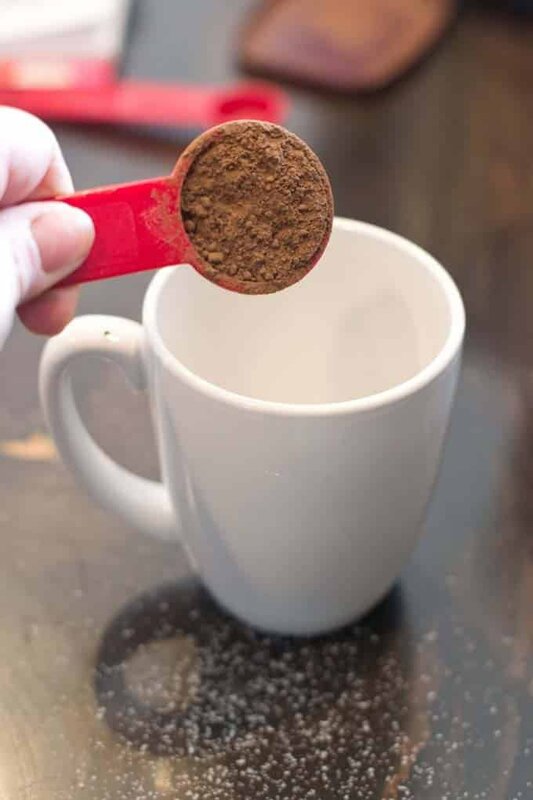 cocoa powder is quite bitter so you may need more sugar than you realize. I go with 2 tablespoons of sugar for 1 tablespoon of cocoa. Then add some unsweetened cocoa powder, 1 tablespoon. Try using a dark chocolate variety for an intense cup. A little splash of milk just to incorporate the dry ingredients, 1-2 tablespoons. 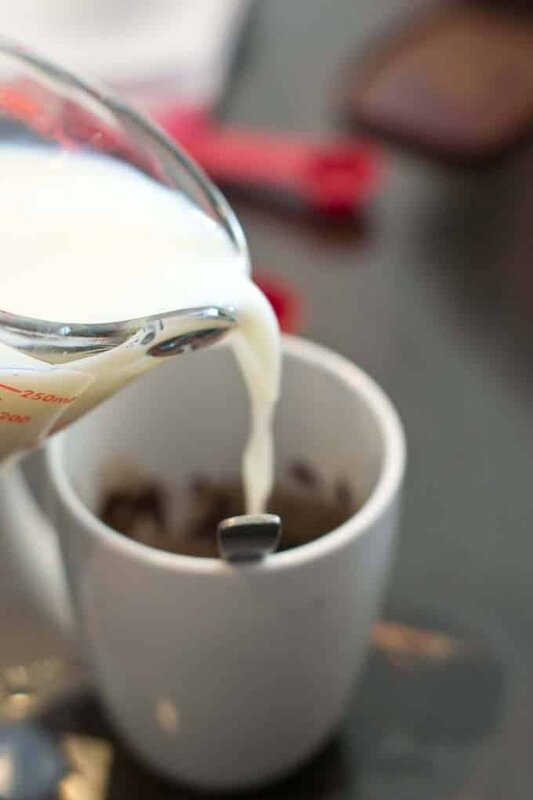 I choose whole milk when I have it because it makes the cocoa rich and creamy. Stir together until no lumps remain and the mixture is smoooooth. It should be thick and dark. Slowly stir in the remaining milk until incorporated. Pop it in the microwave for a minute then stir to distribute the heat. 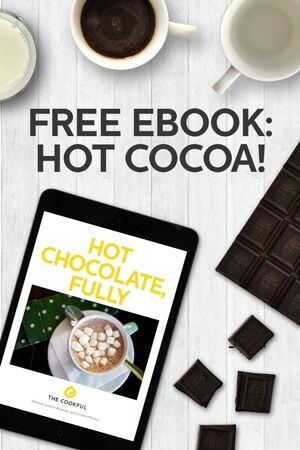 Place it back in the microwave and cook for another 30 seconds or until the cocoa is nice and hot. All you need now is a blanket, some marshmallows and a fireplace. 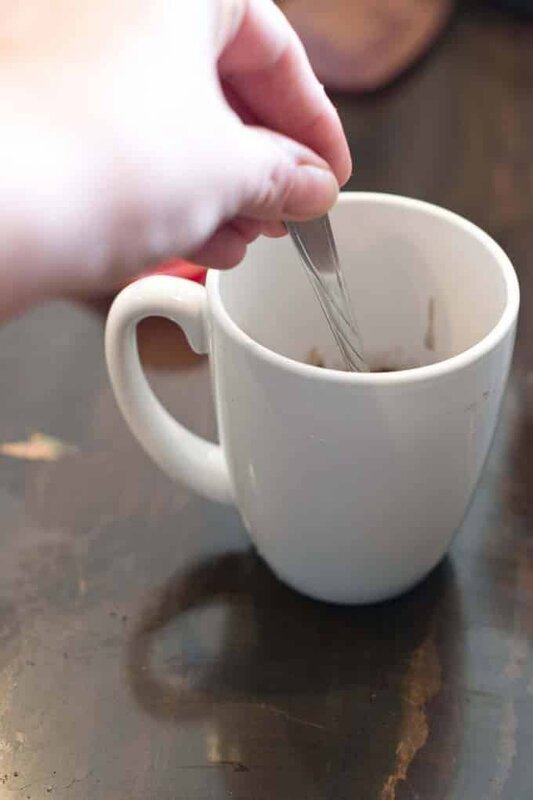 This hot cocoa is made in the microwave but you can instead do it on the stove. Do step #1 in a small sauce pan. Then add the milk from step 2 to the sauce pan. Then heat on the stove until the desired temperature is reached. 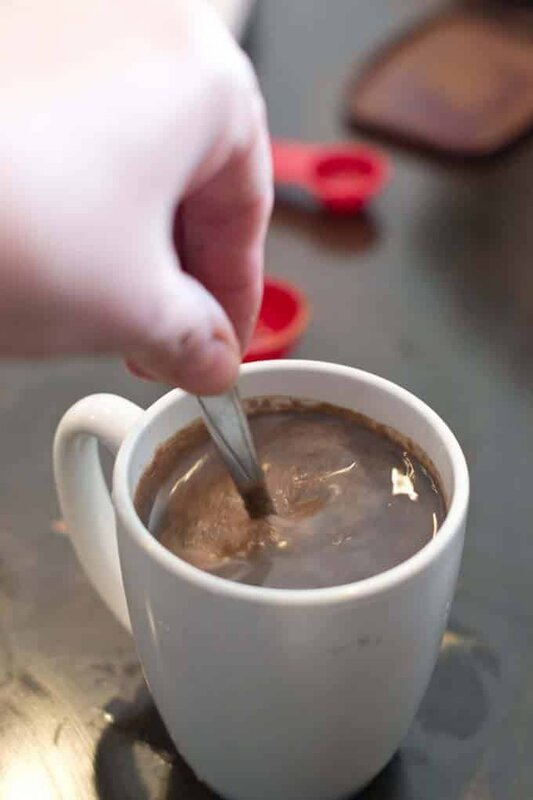 In mug, stir together sugar, cocoa powder, and 2 tablespoons of the milk until combined and there are no chunks of cocoa powder. Add in remaining 1 cup milk and stir. Microwave 1 minute. Stir then microwave for an additional 30 seconds or until hot. Add a pinch of salt and stir. 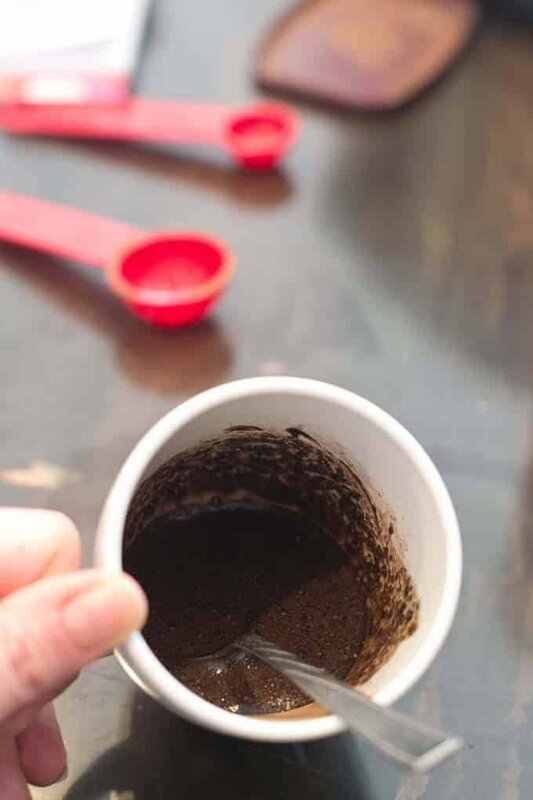 Amna, Do exactly the same thing except to heat it, pour milk mixture into a small saucepan and heat over medium heat, stirring continuously, until steaming and heated to your desired temperature. Really good. I substituted for no good reason 1tbs brown sugar for 1 tbs white. Good to know that it works with both. Thanks, Phyllis! Pretty good, it works with Raw Sugar as well. Worked great, taste delicious. Thanks. Very Good, Thank you. but. .. is that your favorite mug? I know you have a different one. Thank you so much! 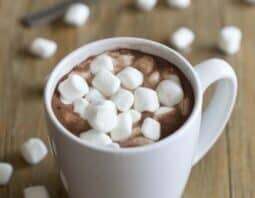 I was searching to find a recipe that actually tasted good when you only have cocoa powder and no hot chocolate mix, and this hit the spot! I’ve found my new go-to recipe! Yay! So happy to help! Great recipe, used it for Christmas last year. Fantastic! Thanks for letting us know, Grace! Ghiradelli cocoa was the only thing in the cabinet, left over from baking. 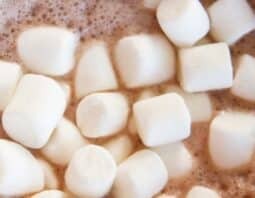 My 5 yr old daughter was going berserk for hot chocolate. Whoo! mother of 4 and too tired for a store run. Thanks sooooooo muccccch for this recipe. I usually use the packets, this is sooooooooo mucccchhh better, thanks a million! Using heavy whipping cream 2/3 tsp. is a good idea for a creamier richer flavor. 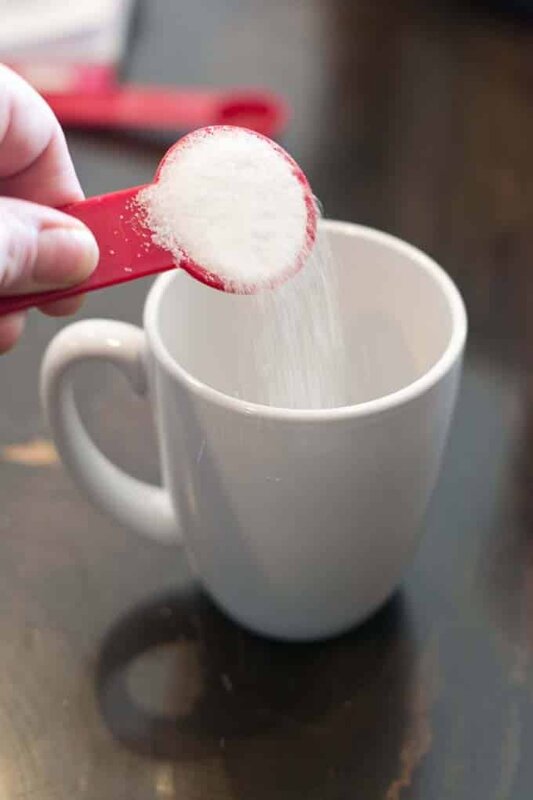 Using Stevia extract over sugar would be a more for a diet. Also Almond Milk works good! The ingredients list milk twice instead of sugar. Mary, milk was listed twice because it was to be added at two separate times. But the recipe was written in a confusing way. I have fixed it. Hope that helps! 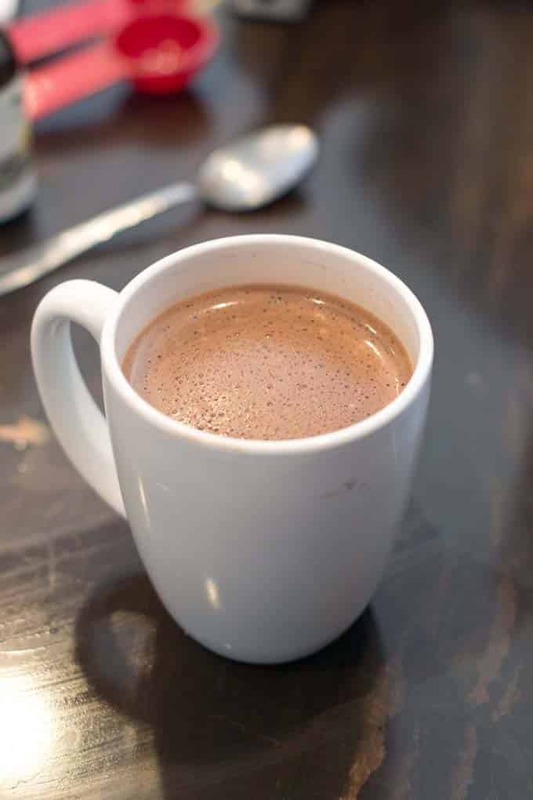 Love the hot chocolate really simple and yum! !